I’m also very conscious that art has been the preserve of a fairly small number of collectors and it has been a difficult world for lots of people who love art to feel a part of. Going to brick and mortar galleries can be intimidating and a lot of the ways in which the art world operates are not transparent. I am determined that which should make art more inviting and accessible, and that we should create a transparent environment where people have access to important information about artworks and artists, and where people feel comfortable about asking all kinds questions without ever being made to feel that it’s not the “right” question to ask. We want to help anyone who is excited about the prospect of buying art in an intelligent, informed and friendly way. ALW: In 2007 you created the art prize New Sensations, selecting and supporting the most exciting work of art students in the UK. What sustains your interest in emerging artistic practices? RW: An extension of the New Sensations Prize that I ran in the UK is our annual Invest in Art report in which we focus on new graduates of particular promise. I do a huge amount of research into as many MFA programs as I can looking for artists I'm excited about and want to share with other people. I’m so pleased to see that some of the artists we have highlighted in previous years are doing so well - Bradley Wood was shortlisted for the Pulse Fair award for best booth and it was won by another of our featured artists, Devon Shimoyama, at Pulse Miami. Louis Fratino who we featured after he completed his BA is now working with Thierry Goldberg in New York and has had his first New York show. In last year's report we highlighted the paintings of Ed Burkes, a recent UK graduate, who went on to be part of a show at Beers Contemporary in London and was chosen to be in a show focusing on emerging artists at the Mall Galleries in London. Among the US-based artists we have featured is Taylor White who has since been offered shows by galleries in the US and Europe and Australia. He already has a strong collector-based around the world. I love the way curating an online gallery enables me to see works from all over the world – we represent artists in 100 countries – and in every style you can think of. I feel very lucky to be seeing outstanding work by artists in, say, South Korea, the US and Germany all in one day. As I go through every work uploaded to Saatchi Art’s website each day, I’m always looking out for the most exciting work of its kind, artists who have their own signature style, and also works which I can imagine the huge range of people visiting our website will be interested in and potentially eager to purchase. 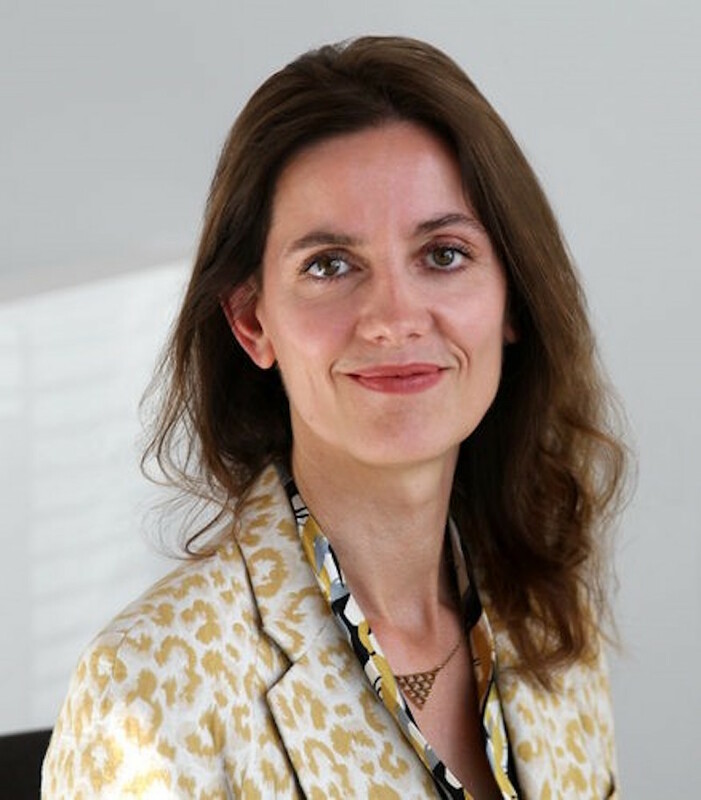 I also run a free art advisory service, helping clients all over the world find artworks they like, whether they are interior designers, property developers, seasoned collectors, or people new to buying art. I love matching buyers with artworks I think they will fall in love with. Helping artists to find people who love their work through this service is especially gratifying. ALW: If you were to give art students one crucial advice for the pursuing of their artistic career, what would you tell them? RW: Be ready for change and keep an open-mind. Having a brick and mortar gallery is in the 21st century only one option available to an artist - they are many other ways to show your work, sell it and attract the attention of galleries. So, embrace the internet. It’s not a sign that you have sold out as an artist; it is a necessary and rewarding way of showing your work to a global audience. 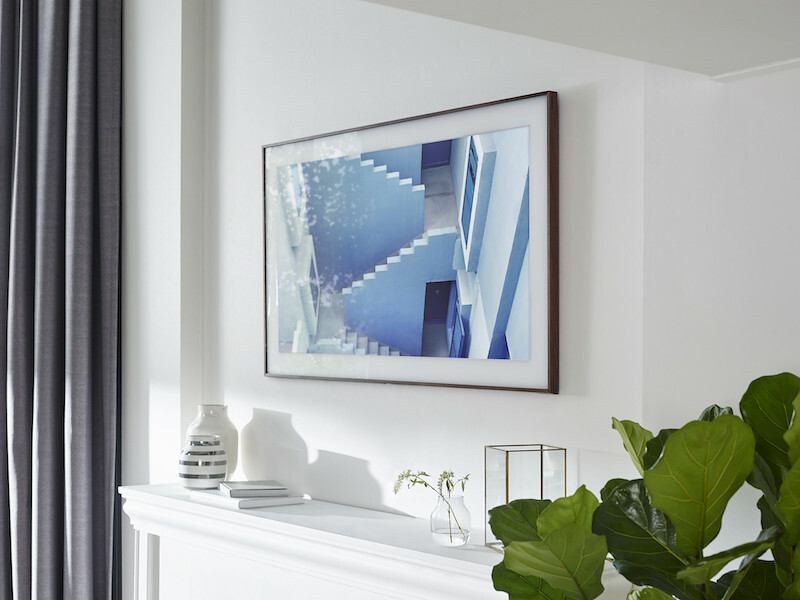 ALW: With Saatchi Art Advisory, which represents thousands of artists in a virtual gallery online, you recently began collaborating with Samsung for their new product "The Frame" – a TV that looks like a frame on the wall. It includes an art store with works from galleries such as LUMAS, the collection of Prado Museum or Saatchi Art Advisory, enabling consumers to choose art works to be displayed in stand-by-mode. You curated a selection of works that consumers can choose for their own screen: how did you take the decision which pieces and what kind of style would fit best for such a wide audience? RW: I wanted to make a selection of works that show the range and variety of works that we represent at Saatchi Art, as well as of course taking into consideration what kinds of works would display well on The Frame. ALW: The selection includes digital art, photography and digital reproductions of analogue works, such as paintings. How much did the works' material influence your selection? RW: Obviously photography works very well when displayed digitally but I was keen to include a lot of paintings in my selection as one of the beautiful things about The Frame is arranging it on a wall with all sorts of other works in a range of different mediums. The quality of the digital display is so sophisticated that paintings look fantastic. ALW: Did some of the artists create works particularly for this collaboration? RW: No but that is something we have discussed and would be keen to explore in the future. ALW: How do you think can this collaboration influence the engagement and interest in art for the general consumers? RW: As people's habits change and their consumption of news, culture, film and television is changing, we want to be at the forefront of opening up the art world through technology to as many people as possible who love art. 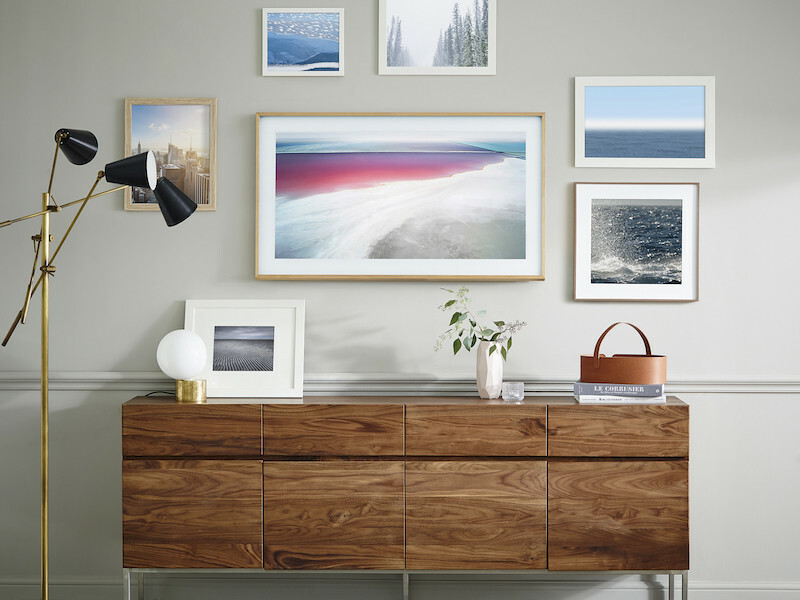 By partnering with The Frame and collaborating with Samsung we are excited to give people the chance to display a range of artworks when they want to according to their mood, their living space and other artworks they own. I think looking at more art, living with it and having it around you can only make you want to see more art and feel excited about purchasing more art. ALW: In terms of the rising digitalisation of life and, surely, also of art, what do you think are the advantages and the disadvantages of embedding art in a digital screen such as The Frame? RW: I don’t really see a downside. Generally the more access you give people to art the more excited they become about seeing it in different ways so I think it will encourage people to go to galleries and museums, and make people feel comfortable about consuming art in a range of ways - from traditional to digital. 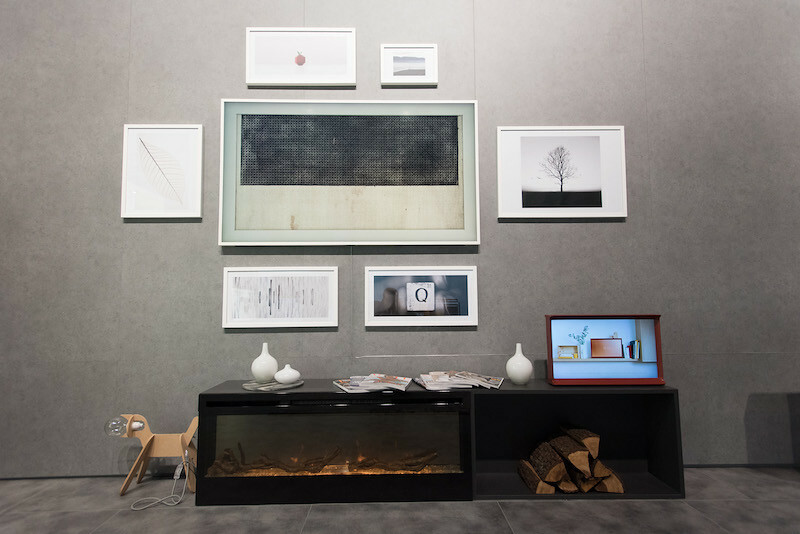 ALW: How do you see the future for art and its display in an entirely digitalised world? RW: I think that for more and more people the television will be a vehicle for displaying art and not just an ugly black box in your living room. I'm sure there will be new technologies that will be even more responsive to each of our preferences and habits, and it's definitely a very exciting area to be involved with at an early stage.